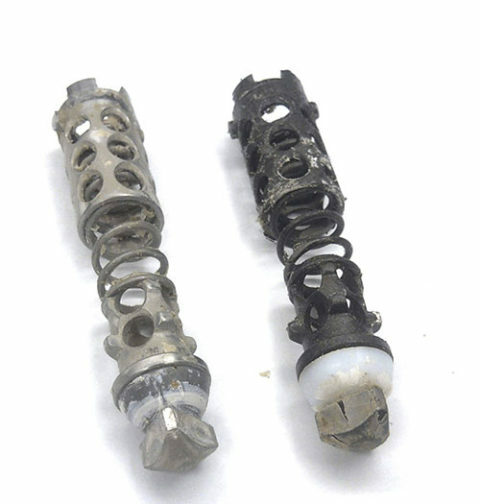 A call from a spray dryer OEM revealed a problem with nozzle drips, which resulted in scorched particle, deposits at the fluid bed and post shut dripping, compromising the quality of the milk powder. The challenge to develop an anti-drip check valve, which would function reliably with the fluid path & difficult service conditions. We soon discovered this same problem was extremely common to many other customer’s dryers, for all dryer and commodity types. The result of our work was the unique Drip Pro™ patented design. As a result, OEMs set to work converting many existing plants with this first generation valve (GEN 1). Positive user feedback set the stage for the evolution of what has become the industry best performing anti-drip spray dry valve, the Gen 8. The Drip-Pro™ Smooth Flo GEN 8 is designed for high solids, viscous products such as nutritional and others, where extra long run times without blockage is required. We have pioneered new replaceable ‘Sealing-Face’ technology, removing problematic outdated metal to metal sealing. The new design incorporates fewer parts making it more cost effective and reducing maintenance, can be connected easily to the New Click & Dry Hygienic Spray Dry Nozzle system. Choose from various valve spring options to optimise spring pressure. You can also opt for PTFE, Durocon or PEEK replaceable seals for longer seal life and reliable shut off. Customise your opening/closing pressures to suit your applications. The new cage free system has fewer parts making it easier to assemble, more cost effective and less maintenance. Full flow design in ports giving extra long run times and reduced fouling. Our unique patented removable seal guide keeps seals concentric for reliable seating and sealing whilst allowing the use of our unique replaceable seal inserts which increase valve body seat life and suit your product application. Springs clip in action keeps all parts contained in nozzle body during swirl and disc changes while keeping valve components concentric for reliable action (parts are only separated during disassembly). 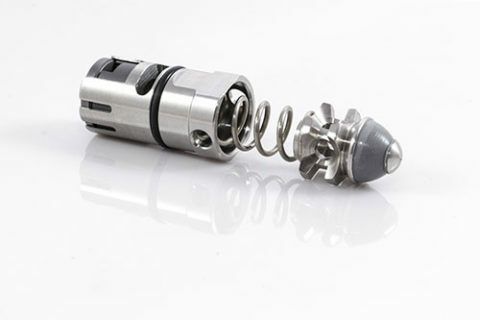 Its new high flow design delivers extra long run time compared to previous designs and is easily removed for cleaning. This ‘open-port’ design can be run on all dryer types. Choose from Teflon or Durocon low cost replaceable soft seals to ensure improved sealing without damage to the nozzle body seat. Avoiding seat damage prevents expensive replacement of nozzle bodies, particularly when welded or using old metal to metal seal designs. The Drip-Pro™ Hi-Flo GEN 9 was created with the least amount of parts for easier cleaning, maintenance while achieving higher productivity, higher flow rates and extra long run times meeting the demands of the spray dry industry. The New Stem is integrated into the Valve Seal Body. 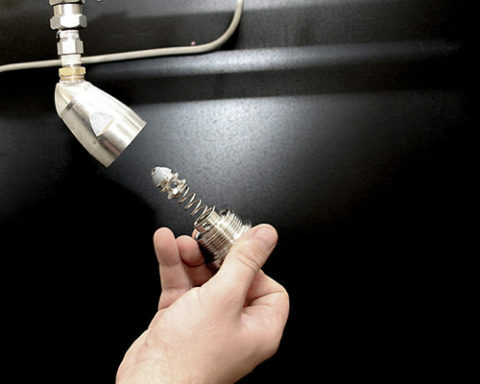 With the least parts, it’s easier to clean, assemble and disassemble. Suitable for Durocon Seals (grey seals) only. The Drip-Pro™ Hi-Flo GEN 8 design features the latest in Check Valve technology with few parts. The Gen 8 was created to not only meet the higher productivity, higher flow rates, extra long run times demands but also meet the new hygiene and low maintenance demands of the spray dry industry. The cage removed in Gen 8 making this combination more affordable and easier to clean. The Check Valve assembly is spring clip into the new Hygiene Plus cap. Parts are only separated during assembly/disassembly. With fewer and simpler design parts, it’s easier to clean, assemble and disassemble. The Drip-Pro™ Hi-Flo GEN 7 was created to meet new hygiene and low maintenance demands of the spray dry industry today, and to meet the demand for higher flow rates, but to also meet the requirements of longer run times. The Check Valve Cage is removed as the new integrated Spring Cage CCT Clasp was introduced. Fewer parts means better hygiene and less maintenance. The Drip-Pro™ Hi-Flo GEN 6 was created to meet the higher hygiene demands. The check valve drop cage was introduced to accommodate for the new smooth and easy to clean SuperMaxi Body. Like the Gen 5, the Gen 6 also achieves higher flow rates and improved long run times. The new Drip-Pro™ Hi-Flo GEN 5 was created to meet the demand for higher flow rates, and improved longer run times. The increased flow was achieved with changing two low cost interchangeable internal components allowing the user to keep the same body as previously used. 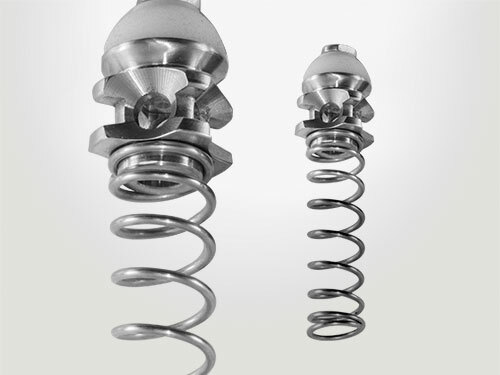 The shorter Valve Seal Body design take pressures off the spring allowing for improved long run time. The Drip-Pro™ Hi-Flo GEN 4 was created to meet the higher productivity demands of the spray dry industry, not only to meet the demand for higher flow rates, but to also meet the requirements of longer run times. The increased flow was achieved with changing two low cost interchangeable internal components allowing the user to keep the same body as previously used so Upgrading to the new Drip-Pro™ Hi-Flo Gen 4 is easy! The Drip-Pro™ Hi-Flo GEN 3 was created to meet the higher productivity demands of the spray dry industry, not only to meet the demand for higher flow rates, but to also meet the requirements of longer run times. The increased flow was achieved with changing two low cost interchangeable internal components allowing the user to keep the same body as previously used. The Drip-Pro™ GEN 2 valve introduced improvements in component durability with an expanded range of spring pressures & seal materials. This was achieved with larger body/cage lugs & threads, allowing the Drip-Pro™ GEN 2 far greater longevity than its predecessor. Inspect body for wear & damage, replace as required & upgrade to GEN 3 internals. Our first valve was the Click&Dry™ with Drip-Pro™ GEN 1 valve which was accepted as one of the first spray dryer valves in the industry to deliver reliable operation over a full shift run without blockages. Age alone dictates full replacement of this early version.